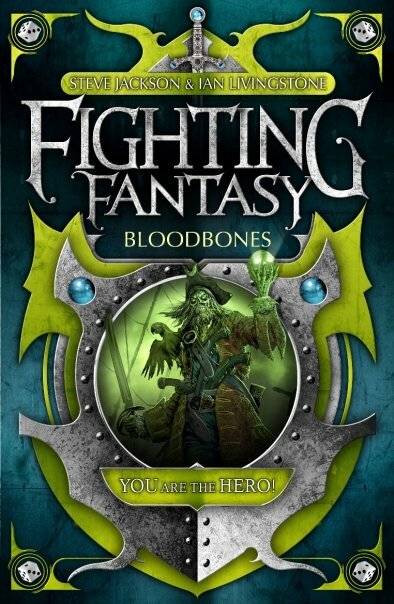 The book in question that I am talking about is Bloodbones, the fabled Fighting Fantasy 60 that never got published back in the 1990s (its story can be found here). It did get published in 2006 and the fandom rejoiced. 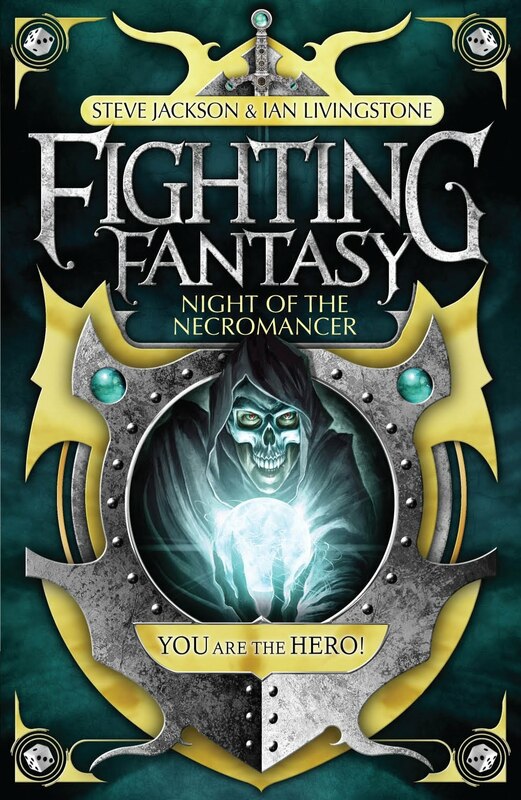 Jonathan then went on to write three more Fighting Fantasy books after Bloodbones - Howl of the Werewolf, Stormslayer and Night of the Necromancer. Before that, Jon had already written gamebooks for the 'old' Fighting Fantasy series - Spellbreaker, Knights of Doom and Curse of the Mummy. There is a marked difference between Jon's 'old' and 'new' gamebooks. They all contain gripping stories but the 'old' gamebooks are ludicrously difficult and involve you having to make several improbable rolls in order to win. His later gamebooks do not contain such difficulties and they can be beaten fairly (I'd say that Bloodbones is still quite difficult in terms of rolls but not ludicrously so - it is the bridge between the old and new books). Fighting Fantasy is not Jon's only area. 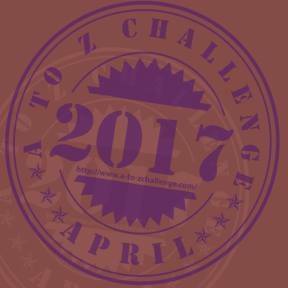 He has also written many other wonderful books and keeps a blog which he updates almost daily (Jon is also taking part in the April A to Z). The Warlock of Firetop Mountain, back when it was first published in 1982. That I've written or that I've read? I'm never good with favourite, so for other people's I'll have to go with a Top 5, if that's okay. Deathtrap Dungeon,Midnight Rogue, Vault of the Vampire, Dead of Night and Legend of the Shadow Warriors. Of the seven I've written, Howl of the Werewolf and Night of the Necromancer are my Top 2. A novel in which you, the reader, are the hero, influencing the outcome of the story. They are unique. They give you the story-telling experience and immersion of a novel whilst offering the freedom of choice and random element of a game. Where? Well I was living outside Bath when I wrote my first one. Or do you mean something more like 'the shower'? Wherever I am, I have ideas, although annoyingly I often get some really good ones when it's not the most convenient time to write them down, such as in the aforementioned shower or just as I'm going to sleep. See above. Generally at my desk, with pen in hand, as I wrote down ideas of what I could include in the story. Such mechanics always comes from the character/setting/storyline. 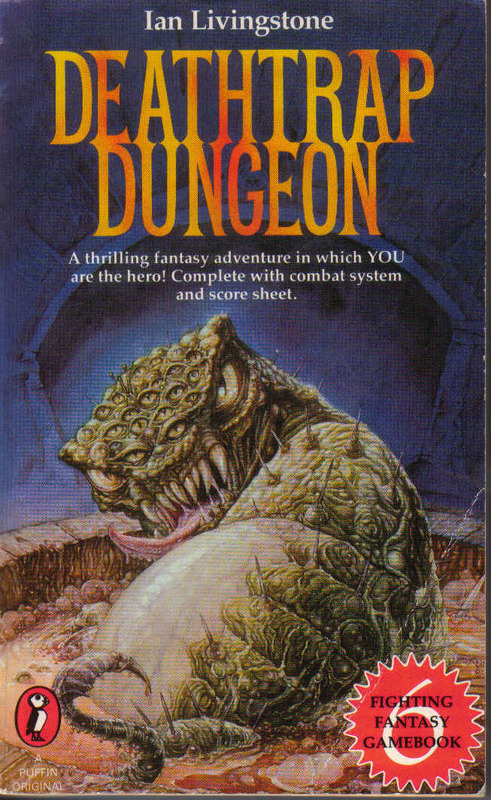 What did you learn from your late nineties gamebooks that you applied to your later gamebooks? The reading a gamebook should be fun, that the adventure should be fair, and to trust the reader. If someone's going to cheat, they'll cheat. You need to write the adventure for the person who won't. I have a gamebook coming out this summer from Black Library and I'll be writing another one for them before the end of the year. I'm also writing another Gamebook Adventure for Tin Man Games and I'm working on another project that I can't talk about yet. All very hush-hush. My main website/blog these days can be found at www.JonathanGreenAuthor.com, but there are another five that I update semi-regularly. That's enough for now, I think. Apps for handhelds. 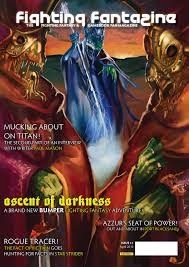 But as a result I also think the future for gamebooks is bright. To find out more about Jon and to get his great books, go to www.JonathanGreenAuthor.com. The pain I suffered with Curse of the Mummy. That book killed me so many times. I have no idea why that one was particularly difficult, but it really was. Come to think of it, I still haven't finished it. Great interview :) Thanks to you both.